The Lounge Co. is lucky enough to have some passionate interior design fans amongst it’s staff. No more so than Kyra, who works in The Lounge Co. gallery in Fenwick, Newcastle. 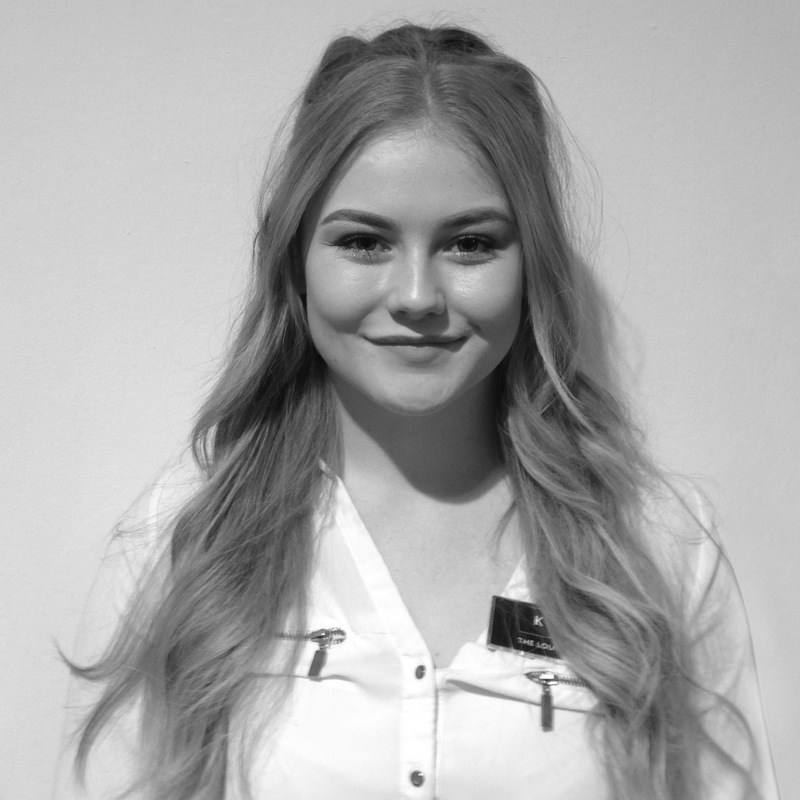 Kyra splits her time between working for one of the most famous department stores in the North East and studying Interior Design at Newcastle College. We sat down (on a stylish sofa) with Kyra, to find out more about her take on interior design, The Lounge Co. and the great city of Newcastle. What made you want to study interior design? From a very young age I’ve been interested in art, and decided that Interior Design was the path I wanted to take whilst studying art and textiles at school. After finishing my GCSEs, I gained a level 3 diploma in Interior, Product and Furniture Design. I then chose to study for a degree in Interior and Spatial Design at Newcastle College. I’ve lived in Newcastle all my life and I absolutely love it! I think it is a great place to study Design as there is so much history and influences around the City. The college has an excellent reputation and I knew the lectures and facilities were great. What are the best things about Newcastle? Newcastle has amazing architecture including seven beautiful bridges in a one mile stretch; all visible from one of my favourite places, the Quayside. You’ll find some great restaurants there so you can enjoy food as well as the stunning scenery. On the other side of the water in Gateshead you will find Sage and The Baltic Centre for Contemporary Art, if you travel to the top of the gallery there is a viewing box; you can see Newcastle for miles. If you love shopping, Eldon Square is heaven! And if, after all that retail therapy, you need some refreshment, Grey Street is a foodies dream; enjoy a bite to eat and drink take in the historic Greys Monument. 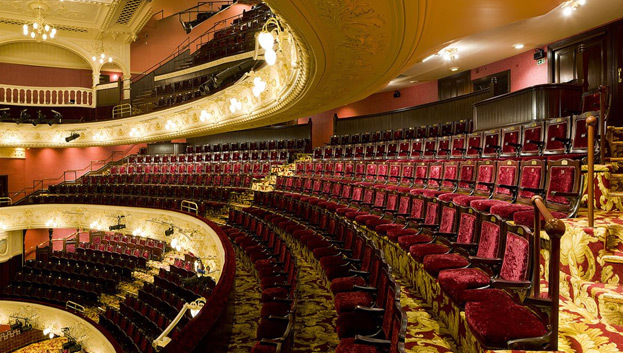 One of my favourite buildings in Newcastle is the historic Tyne Theatre and Opera House, which is absolutely gorgeous inside. As part of my course, we worked with the Theatre to come up with designs for the Bistro Bar, where visitor can get their snacks and drinks between shows. Talking of history, we also have the amazing sights of Hadrian’s Wall and Alnwick Castle, where some of Harry Potter was filmed. What do you love about The Lounge Co.? I think what drew me to the company was the way in which you design your perfect sofa and accessories. Also, the fact it is paired with one of the biggest departments stores in the UK is very appealing to customers who trust the Fenwick name. Paloma is my favourite sofa from The Lounge Co. I’d choose it in Racoon Nose - a Crushed Velvet in a gorgeous deep grey. I also love the Rose chair in Herringbone - Unicorn Horn with washed oak feet; a classic shape in a modern fabric. Apart from The Lounge Co. what’s your favourite department in Fenwick? I’ve always loved the Christmas department as it’s the perfect place to buy inspirational gifts, cards and accessories, and marvel at the creative displays. It brings friends and family together and the Christmas Window compliments your Christmas shopping experience. The Fenwick Christmas Window is a big festive draw - I’d definitely recommend a visit if you’re in the area. So, back to work! What’s been your favourite degree project so far? I really enjoyed designing an exhibition to display a designer’s interiors or products, taking inspiration from their existing designs. I chose Philippe Starck, the contemporary French designer, because of his verity of work. What trends are coming through in interiors at the moment? At the moment geometric shapes are everywhere: wallpaper, furniture and accessories and brass is taking over copper as a major metallic trend. Multi-functional furniture, like our Taylor Storage Footstools are becoming popular as modern homes are getting smaller. Finally, wooden flooring is back in fashion and carpets are out, I would add rugs to add character and warmth to a room. How can you embrace these trends without spending a fortune? 1. 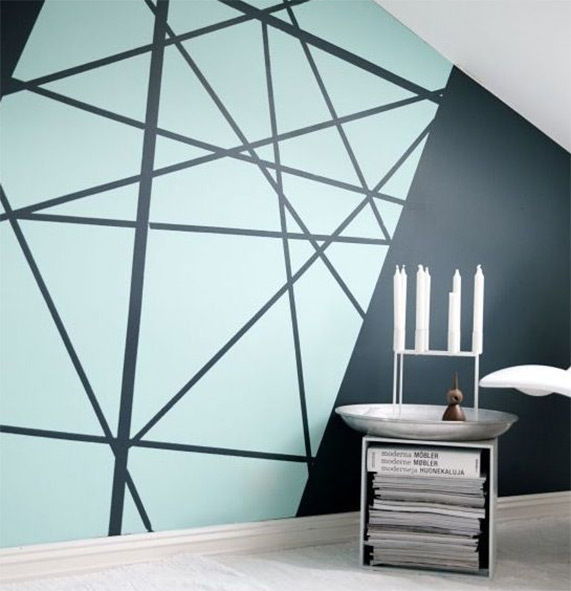 Introduce geometrics without spending loads on expensive wallpaper, by creating a simple pattern using masking tape. Fill in different sections with two contrasting shades of paint, and you get the effect which is on trend at the moment. 2. Restoring existing floor boards can save you money as you aren’t buying brand new, this way you add character to your home and have a stunning feature. 3. Don’t forget the High Street! You’ll find a lot of stores offer on-trend homewares at affordable prices, perfect if you like to your interiors up-to-date with the latest styles. Finally, any advice for people wanting to get into interior design? While you’re still at school, choose a mix of creative and academic subjects, then find a higher education course that’s right for you. Many design courses are interlinked, meaning you can take many different paths to study a creative subject. If you’ve already left school, you can find well structured online courses from institutions such as the Open University. If you haven’t got time to study but want to keep on top of the latest trends, following interior design magazines and blogs are a helpful tool to keep you up to date with the industry. Thank you to Kyra for taking the time to talk to us. If you’re visiting Newcastle, be sure to pop into The Lounge Co. Gallery in Fenwick to say hello!